​​​​​​​​​​​​​​​​​​​​News about the struggle for democracy in Gabon.​ Gabon is not a functioning democracy and opposition to the lack of democratic progress has continued to grow. Also check out our section on World Democracy or our Africa articles. Gabon’s President Ali Bongo Ondimba, who has been out of country for health reasons since October, has returned for the swearing-in of his new government. His return comes a week after a military group took over the state radio station. The coup was quickly halted but exposed growing frustration. Global rights groups concerned by Gabon government’s targeting of human rights defenders and opposition members for military coup attempt. Armed men who took over Gabon state TV before dawn Monday had a stern message, followed a script typical for military-led coups in West and Central Africa. Bongo has been in office since 2009. His father ran the oil-rich country before him, and many have criticized the family for profiting off the country. 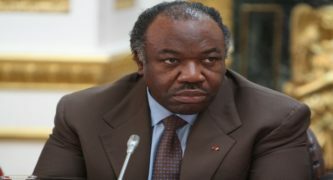 Gabon President Ali Bongo, out of country since falling ill in October, suffered stroke, vice president said, providing first official details of illness. Central African nation’s presidency said in statement on Sunday latest word about health of president Ali Bongo Ondimba of Gabon was “extremely reassuring”. Gabon’s President Ali Bongo was hospitalized last week in Saudi Arabia after suffering a stroke,but Gabonese authorities says it was just a fatigue.